Eleaf Aster RT is a Recessed Tank (RT) style mod that is able to hold and hide tanks up to 22mm diameter. 4400mAh long sustainable battery and 100W output power. Eleaf Aster RT is a skillfully designed “Recessed Tank” (RT) style compact mod that is able to hold and hide tanks up to 22mm diameter. It is pre-installed with the new firmware that has preheating functions and a custom logo as well as different interfaces for you to check your total puffs and total vape per seconds. The firmware is always upgradeable so you can keep on top of the latest features. A massive 4400mAh internal battery as well as a streamlined, unique design makes the ASTER RT both sustainable and fashionable. • It can hold tanks with no more than 22mm diameter. We suggest you use Melo RT 22 with it. 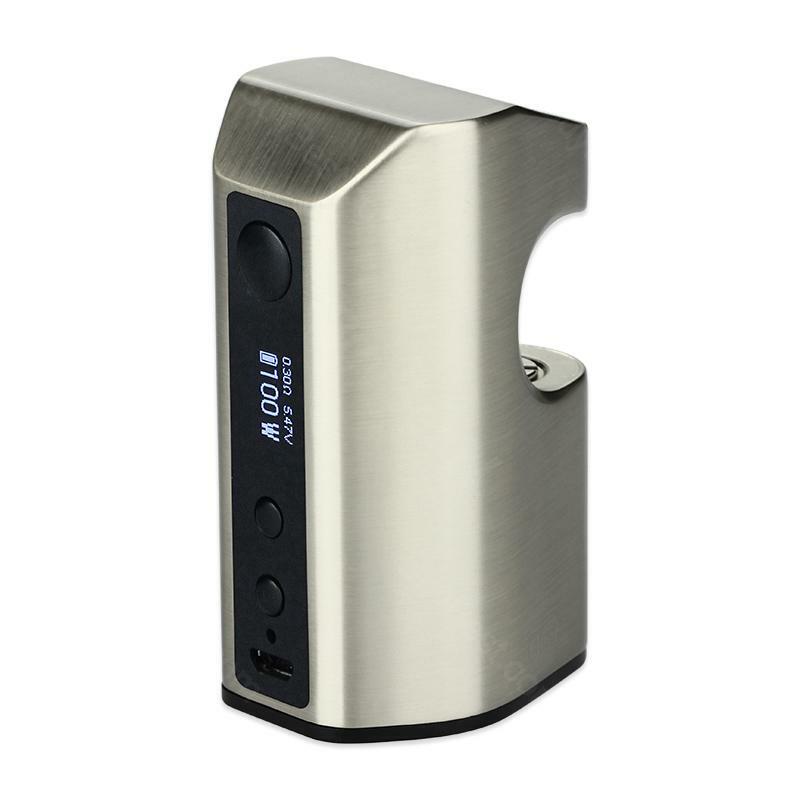 100W Eleaf Aster RT TC MOD is the best vaping mod for starters. Just fill it and start vaping, no leaks, also very good price. Das Preis/Leistung Verhältnis ist sehr gut. Die Verpackung war gut. Vielen Dank für Eleaf Aster!